JOHANNESBURG, South Africa -- Oscar Pistorius was treated for minor wrist injuries at a hospital and has been returned to a South African jail where the Olympian is serving a six-year sentence for killing girlfriend Reeva Steenkamp, prison officials said Sunday. The report of injuries to Pistorius, who denied he had attempted suicide, came as athletes compete at the Olympic Games in Rio de Janeiro. Pistorius and his coach said before Steenkamp's 2013 killing that they wanted to retire together at the Rio games. 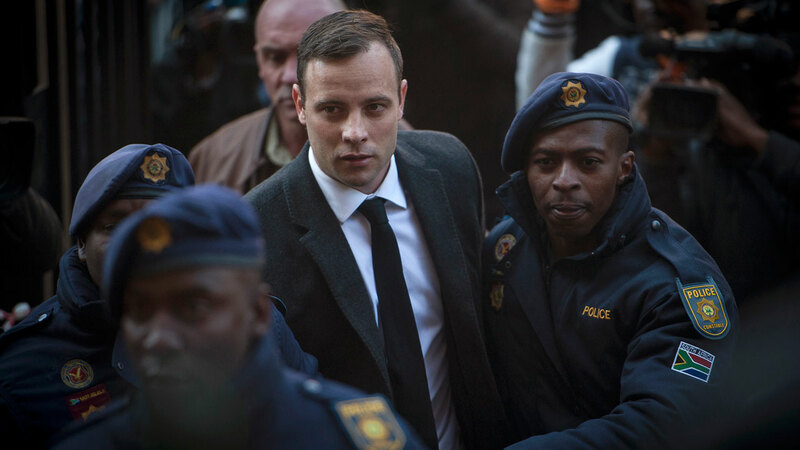 Pistorius' family declined to comment, referring inquiries to the correctional services department. Pistorius has been held in a single cell in the hospital wing of the prison, reducing his interaction with other inmates. During Pistorius' sentencing hearing in June, a psychologist testified for the defense that the athlete was a "broken" man whose mental state had deteriorated over the last two years, and that he should be hospitalized and not jailed. Prosecutors have challenged such assessments, saying Pistorius has an aggressive streak and may have played up vulnerabilities in an attempt to win leniency from the judge presiding over his case. Commenting on the decision to send Pistorius to a hospital, Nxumalo, the correctional services official, referred to past reports of tension between the convicted murderer and a prison nurse who testified about alleged confrontations over medication and other issues while the runner was serving an earlier manslaughter sentence. Pistorius' defense team suggested those reports were exaggerated. Last month, South African prosecutors said they would appeal Pistorius' jail sentence, saying it was too lenient. The double-amputee athlete, who was sentenced on July 6, could be released on parole after three years. The prescribed minimum sentence for murder in South Africa is 15 years, though a judge can reduce that penalty in some circumstances. Pistorius also previously served one year in prison for manslaughter for shooting 29-year-old Steenkamp, a model and reality TV star. That manslaughter conviction was upgraded to the more serious offense of murder after an earlier prosecution appeal, leading to a new sentencing. Pistorius shot Steenkamp multiple times through a toilet cubicle door in his home in the pre-dawn hours of Valentine's Day, 2013. Pistorius testified that he killed Steenkamp by mistake, thinking there was an intruder hiding in the bathroom. Prosecutors said he shot her intentionally after an argument. Pistorius, known as "Blade Runner" for his carbon-fiber running blades, gained worldwide fame when he ran against able-bodied athletes at the 2012 London Olympics, the first amputee runner to compete at the games. Pistorius was born without fibulas, the slender bones that run from below the knee to the ankle. His lower legs were amputated when he was 11 months old.